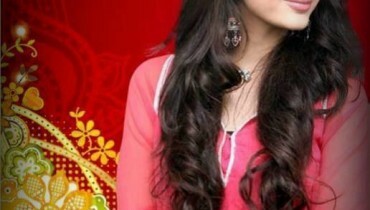 Ayeza Khan is renowned, stunning and beautiful Pakistani actress and model. 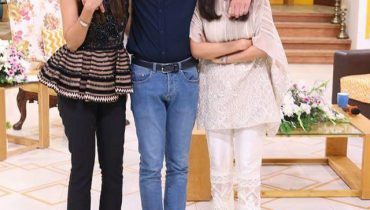 She is well known for her beauty and for living a happy married life with Danish Taimoor. 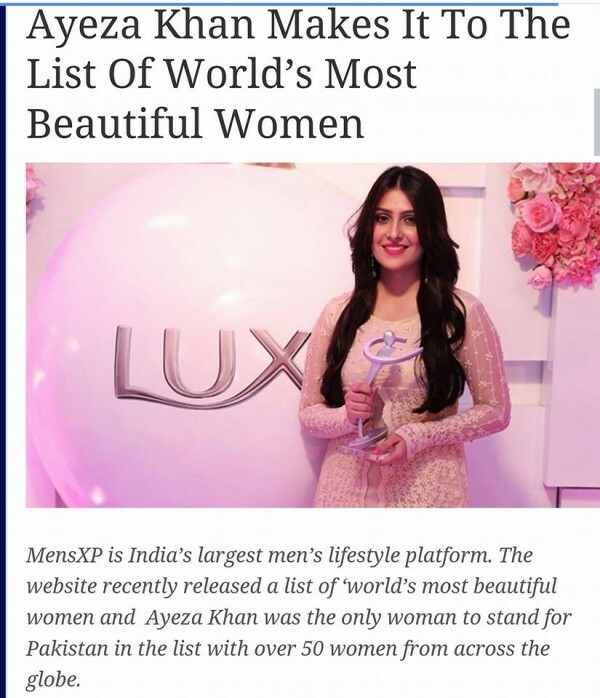 Ayeza Khan is in the list of World’s most Beautiful Women. The list is made by an Indian Magazine MenXp. 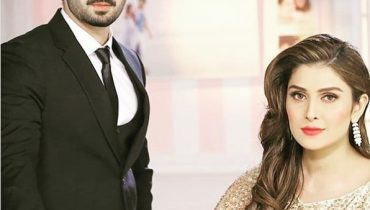 According to them, Ayeza Khan is beautiful women of Pakistan. The list includes name of other celebrities like Mannah Bhatia (India), Petra Silander (Sweden), Kate Menson (Ghana), Haku (Mongolian), Gal Gadot (Israel) aka The Wonder Woman, Jasmine Villegas (Mexico), Noor Neelofa Mohd Noor (Malaysia), Laëtizia Giovanelli (France) and others. 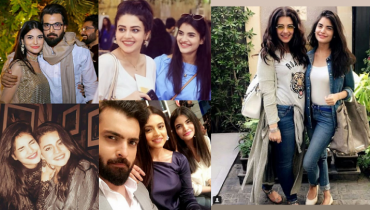 Which Pakistani Divas Refuse To Age?